Disney Animal Kingdom is the newest of all the Walt Disney World theme parks and in many ways, it is the most magical. This huge park sits on 500 acres and is the largest of all the Disney theme parks. 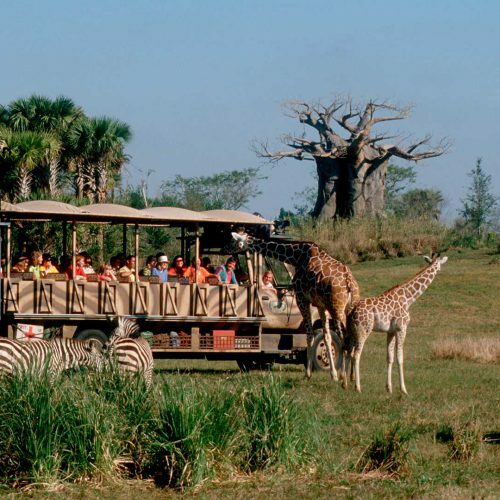 Disney Animal Kingdom consists of an 110 acre replica of an African Safari, two Broadway shows, a thrilling roller coaster, and up-close encounters with numerous animals. Many visitors to Disney World think that Disney Animal Kingdom is just one large zoo. Well, it does have some zoo like features, but this park offers far more. To assist you in planning your day at Disney Animal Kingdom, might we suggest you click on the overview of Disney Animal Kingdom and the guide to all the attractions. 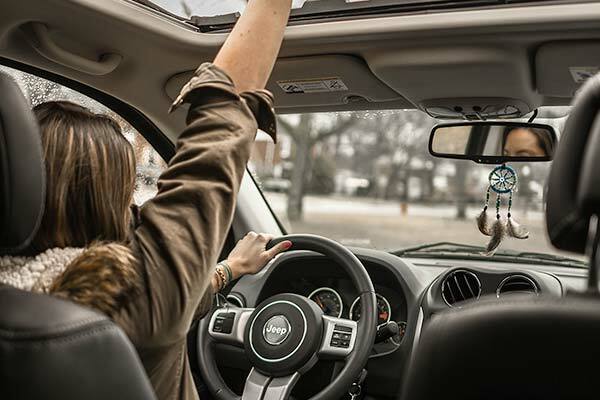 We have even compiled a few touring plan ideas which you may find helpful. On most days, Animal Kingdom closes around 5:30 or 6 pm. 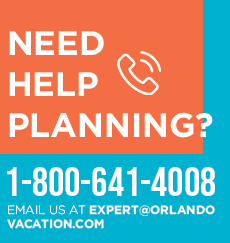 Knowing this, we strongly recommend to visit the Animal Kingdom in the middle of your Disney World vacation; by taking this advice, it gives you and your family a day to get to bed early and rest. This is especially important for parents of younger children. We need to remember most children get so worked up and excited about going to Disney World, they wear themselves out. Disney Animal Kingdom has a myriad of fine restaurants, but since the park closes early, you may choose to find dinner at a number of quality restaurants in the Disney Spring area. Special Hint – The best time to visit the Disney Animal Kingdom is very early in the morning. This is when the animals are most active and this is also when they are being fed. In order to help you be more knowledgeable about the theme parks, we have provided a list of Animal Kingdom fun facts and an article about the Animal Kingdom’s history. It is often fun to read this information before you go to the park.